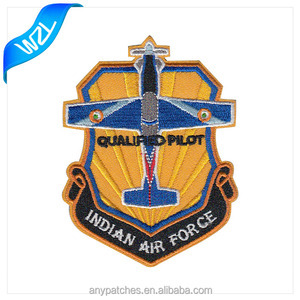 patch description wholesale cheap custom cloth hand embroidery badge manufacturers. that's right, each hand embroidery badge is personalized. Is widely used in clothing, shoes and hats, home textiles, handicrafts and other fields of identification tags. 3. What&rsquo;s your deliver time9 Generally, the sample time is within 7 days, and the bulk product is around 10-20 days. 5. What&rsquo;s your package9 Each pair into one opp bag, then put the bag into one carton, the carton size is around 30*40*50cm. &middot; looking forward to establish a cooperative rerationship with you! 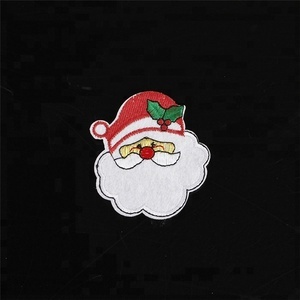 professional embroidery patch cloth badges for clothes professional embroidery patch cloth badges for clothes professional embroidery patch cloth badges for clothes go to home page as well as lanyards, carabiners, id card holders, reflective tags, silicone wristbands, bandanas, pvc items, etc. hangzhou golden eyes printing & packaging co.,ltd ,locate in beautiful city hangzhou . the labels can show you the brand name ,size and wash instruction . We also accept small order if your order quantity is less than MOQ, we do our best to cooperate by giving you the reasonable price with diligent service. If we request customer to pay sample cost, they will surely get the refund after order confirmed. 3. Q: Are you a factory or trading company9 A: Yes, we are lace factory as well as a trading company located in China National Fabric & Accessories Center. 6 Customer Confirm the Design &#10149; No. 8 Customer Confirm Sample &#10149; No. 11 Customer Pay the Balance &#10149; No. you can include company name, event date,mottos or other meaningful symbols to your badges. Name plate is one of our main products, we have more than 10 years experience on metal crafts. (8) Strict management system to supply you high quality products and on time delivery. product types production flow we make sure every step has been made carefully to design the best product for you. Process Merrowed Border,Iron Backing,Velcro Backing,Magnetic Backing etc. Features One half handmade one half machine etc. 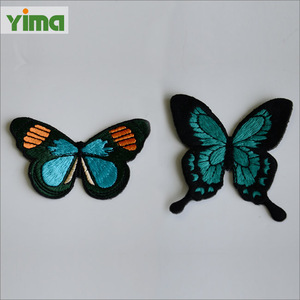 OEM/ODM Acceptable Usage Decoration of cloth,bag,shoes,hat etc. Send by Air: Arrive at destination Airport fast then pick it up by yourself C. More info about us Hangzhou Jiefa Trade Company i s l ocated in Hangzhou of China, Hangzhou Jiefa Trade Co;Ltd. It is a high-tech enterprise which integrates R&D, manufacturing ,sales and marketing with its own professional team. 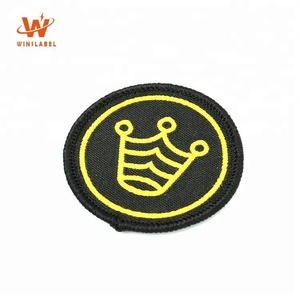 Alibaba.com offers 5,787 cloth badges products. About 23% of these are badges, 18% are patches, and 16% are metal crafts. 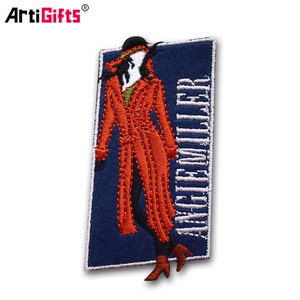 A wide variety of cloth badges options are available to you, such as 3d, eco-friendly. You can also choose from fabric, metal. As well as from pin on, button on. 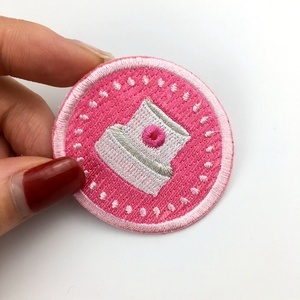 And whether cloth badges is lace, sequins, or mesh. 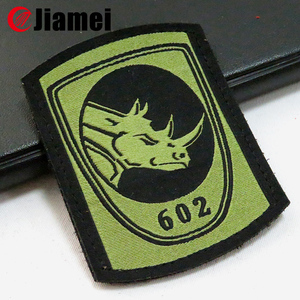 There are 5,787 cloth badges suppliers, mainly located in Asia. 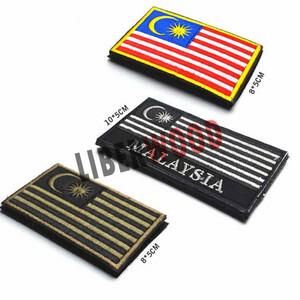 The top supplying country is China (Mainland), which supply 100% of cloth badges respectively. 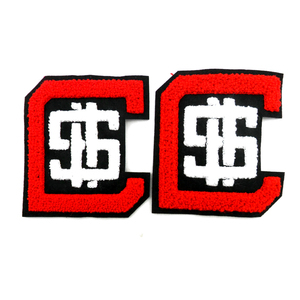 Cloth badges products are most popular in North America, Western Europe, and Northern Europe. You can ensure product safety by selecting from certified suppliers, including 1,121 with Other, 358 with ISO9001, and 102 with ISO14001 certification.